PhoneView at http://ecamm.com/mac/phoneview/ for $19.99 from Merlin Mann. Throwboy at http://throwboy.com for $29.99 from Leo Laporte. MacSpeech Dictate for $172.44 from Alex Lindsay. 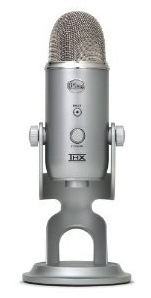 Blue Microphones Yeti USB Microphone for $142.41 from Andy Ihnatko. i.TV iPhone for free from Merlin Mann. weaKnees at http://www.weaknees.com from Merlin Mann. King of Comedy: The Life and Art of Jerry Lewis from Leo Laporte. Abraham Lincoln: Vampire Hunter from Andy Ihnatko. Phoneview totally rocks! I had foolishly recorded an hour on Voice Memos only to discover that I couldn’t export an audio file that big. The only option I saw was jailbreaking my phone when I found this app. The eval version let me pull my marooned file to my Mac. I immediately bought a copy. Next Next post: Picks from MBW 186: Yep.